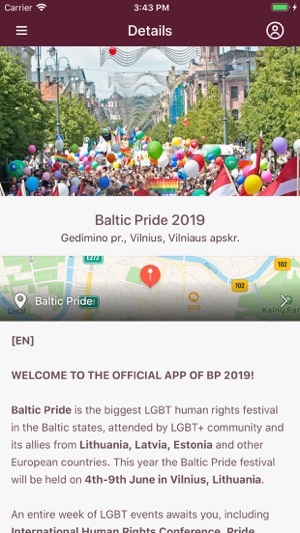 “Baltic Pride” is the biggest LGBT human rights festival in the Baltic states, attended by LGBT community and its allies from Lithuania, Latvia, Estonia and other European countries. This year the festival will be held on 4th- 9th June in Vilnius. · International Human Rights Conference - “The New European Policy Guidelines for the Protection of LGBTI Rights” is a full day event with four panels – parliamentarian, ministerial, municipal and business panels. · Pride Voices - is an opportunity to hear diverse and heartfelt stories of success, triumphs and struggles of coming out, advocacy and family connections from LGBT people, celebrating diversity and equality. · March for Equality - is both a celebration of who we are as well as a protest demanding equality for members of the LGBT community. · Pride House - will provide space for cultural engagement, workshops, discussions, concerts and more, for members of the local LGBT community and human rights activists. 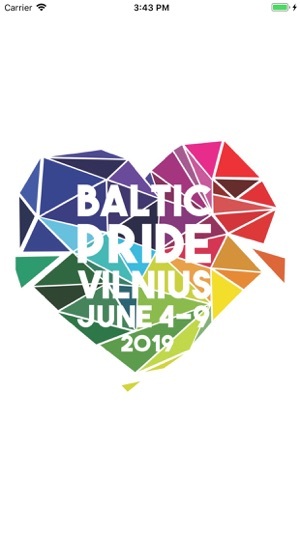 · Pride Park - is an open-air party with music and Baltic Pride fair, that will take place after the March for Equality. · Film Screenings - 4 LGBT themed movies will be screened during the festival, featuring an extremely diverse line-up of films focused on LGBTQI life and community. Baltic Pride 2019 is organized by Association LGL, the only national nonprofit, non-governmental organization, exclusively representing the interests of the local LGBT community in Lithuania and one of the most mature civil society organizations in the country (advocating since 1993). 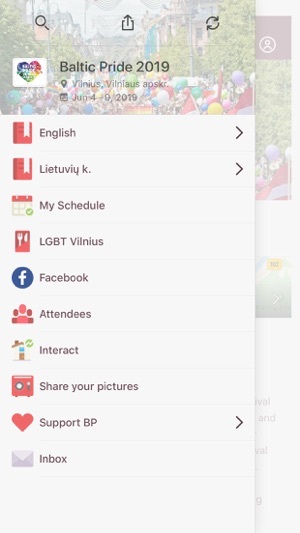 Since 2008, is organized in close cooperation with Association of LGBT and their friends MOZAIKA (Latvia) and Estonian LGBT Association (Estonia).